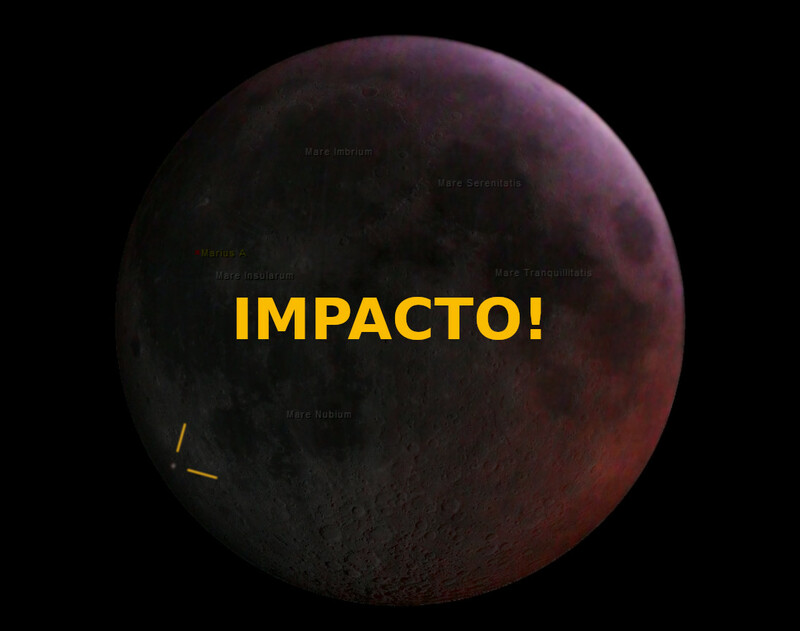 A BRAMON camera recorded a lunar impact during the January 21 eclipse of the Moon. The impact was recorded in João Pessoa, Brazil and also by several other cameras around the world. To cover the eclipse in João Pessoa, the Association of Astronomy of Paraiba and the Cabo Branco Station (organ linked to the city hall), promoted a public event in the gardens of the Station. 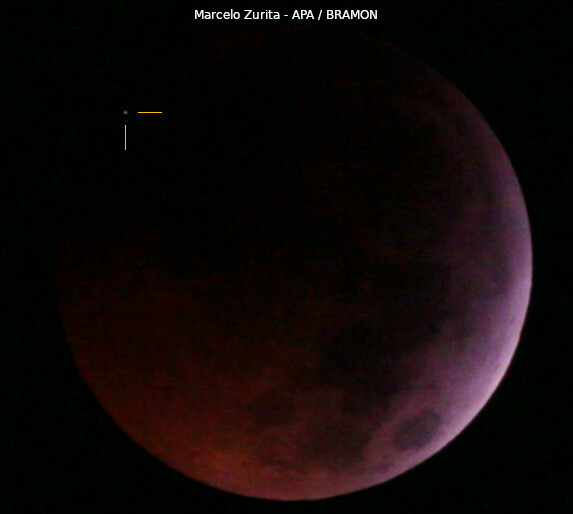 Marcelo Zurita, who is a member of the Association and also of BRAMON, prepared a telescope with two cameras, one to transmit the eclipse in real time to a screen and another to monitor lunar impacts at the moment of totality. The videos of the two cameras were being recorded, and in last Monday night when watching one of the videos, he perceived a flash occurred in first moments of the beginning of the totality. After reporting the flash to his colleagues at BRAMON, there were reports from other people around the world who had noticed the flash in a transmission from the timeanddate portal (https://imgur.com/VSpNGVi). Already this Tuesday morning, we received the official confirmation: the MIDAS project, which has observatories in Spain dedicated to the observation of lunar impacts, registered the same flash at 04:41:38 UT. This is the first time a lunar impact is recorded during a total eclipse around the world. Earlier, there was a record of a possible 2008 impact, which was unconfirmed because it was recorded by only one camera. But this last is certainly the most recorded impact in history. Several cameras broadcasting the live eclipse also recorded a phenomenon. In Brazil this will be only the second lunar Impact recorded in video in history. The first was in December 2017 during the Geminid meteor shower. All data displayed are estimates. they can be changed with the news more accurate images or refinements in the estimation of the magnitude of the flash. Impact Estimates by Lauriston Trindade.